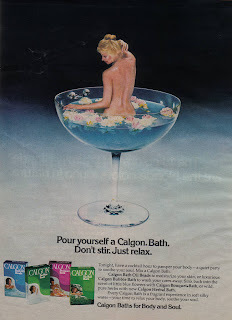 One of my favorite commercials and slogans back in the '80s, was for Calgon brand bubble bath. 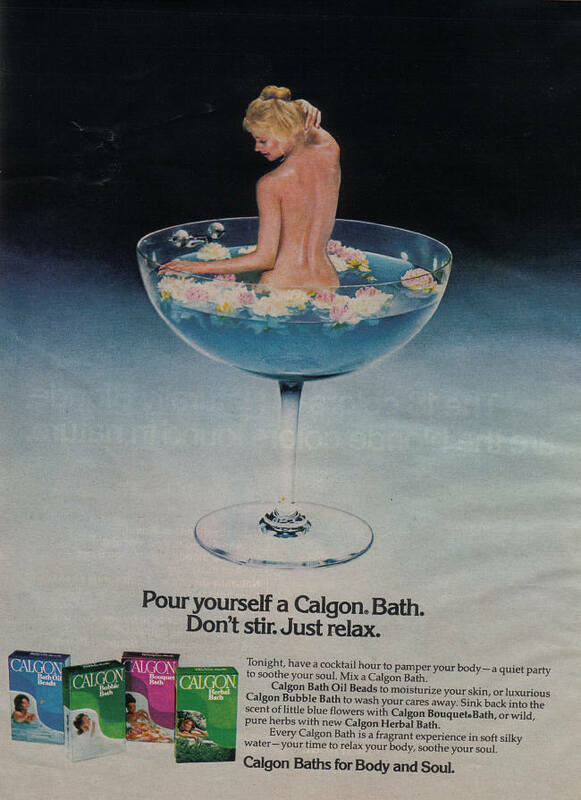 The famous slogan, "Calgon, take me away" was uttered by busy and exhausted 1980s mothers and housewives all across America. It must have really caught on, because to this day, people still joke about it. I think those commercials and the concept of being, "taken away" by a bubble bath influenced me growing up. I loved taking bubble baths with Calgon. I would fill the tub with way too many bubbles and just relax reading my teen magazines as bubbles spilled over onto our bathroom floor. Here's an example of one of the famous Calgon TV commercials. Remember this? I had a coworker who would say "Calgon take me away" after almost any stressful situation. This was like 2 years ago. I can't use it, but I still say it! I still yell this out! Half of the time the (younger) people around me don't know what I am talking about! I remember the slogan but don't think I ever used the bubble bath. I remember Mr. Bubbles though, I used to use that as a kid until I discovered I was severely allergic to it. I mostly remember wasting the family shampoo as make-do bubble bath!